Tell Your Representative: VOTE NO on SB 38! During the special legislative session that resumed in earnest on Tuesday, Sen. Clay Scofield (R-Arab) introduced Senate Bill 38, which would effectively end the Forever Wild Land Trust program by transferring its budget to the state parks system and prohibiting Forever Wild from acquiring any more land. Forever Wild is one of the most popular conservation programs in the state’s history, and was renewed for another 20 years in 2012 by an overwhelming majority of voters. 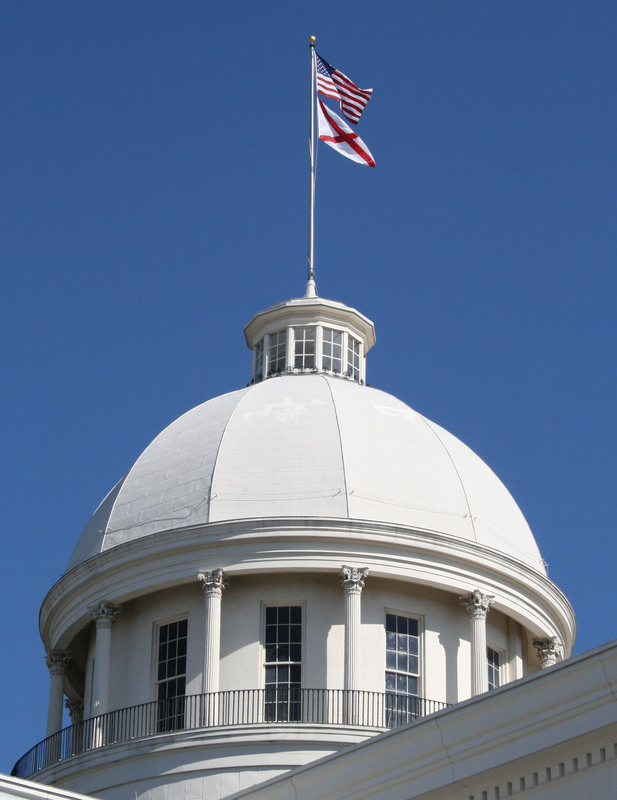 Conservation Alabama deployed an Action Alert to make it easy for conservation voters to communicate with their state senators about their opposition to SB 38. Over 200 messages were sent, but the bill passed the State Senate by an astonishing vote of 32-1. Sen. Cam Ward (R-Alabaster) was the only senator who took a stand for Forever Wild and voted no. The Ways & Means Committee heard you loud and clear, and postponed a vote on SB 38 to allow time for people to voice their opinions on the bill. Rep. Randy Davis (R-Daphne) and Department of Conservation and Natural Resources Commissioner Gunter Guy spoke against it. Commissioner Guy made it very clear that SB 38 would not solve the state parks’ budget problem, and that the state was not in favor of removing Forever Wild’s funding. As of Friday morning, the Ways & Means Committee has not scheduled a vote on SB 38. The legislature is expected to stay in session over the weekend, and we will be watching closely to make sure we alert you as soon as a vote is scheduled. In the meantime, give your representative a call today and let them know to vote NO on SB 38. You can find the contact information for their offices on our website. Transportation, energy, and water – oh my! Budget cuts. Revisions to the immigration law. Job creation. Charter schools. Government efficiency. And that’s just what’s already expected for the legislative session, which starts next week. Throw in the primaries and Bingo Trial II, there are plenty of storylines that could dominate the next three months in Montgomery. But where does the environment fit into the mix for this year? When we left last session, the environment enjoyed the beginning of winning under the new Republican-controlled legislature. The renewal of the state land preservation program Forever Wild is on the ballot this fall. A two-year moratorium on landfills was passed. Life-cycle budgeting was adopted. And the disposal of coal ash is now regulated. However key issues such as transportation, energy, and water policy need more focused attention. As Alabama’s only fulltime environmental lobby organization, Conservation Alabama will be hard at work this session to protect the health of our citizens, economy, and environment. Citizens soundly rejected a proposal to borrow $1 billion to build new roads in 2010. Now, two highway funding proposals are being floated – one by Governor Robert Bentley to borrow $2 billion for road projects and another by Sen. Arthur Orr to create a $600 to $700 million highway infrastructure bank. Nearly a quarter of Alabama roads are not in good condition. The state needs to shift more funding from new highways to highway and bridge repair. Additionally, more funding for transit, sidewalks, and trails will decrease the pressure on our roads, improve our health, and create more jobs per capita than new highway construction. The state also needs to follow the lead of local governments like Birmingham and Mobile by making a greater commitment to complete streets – rehabbing and building roads that work for all users including pedestrians, bicyclists, transit riders, the disabled, the young and elderly, and motorists. Over the last decade, Alabama ranks fifth in the number of pedestrian deaths, and Birmingham ranks 16th in the country among large metro areas. We are supporting AARP Alabama’s efforts to pass legislation creating a complete streets policy at ALDOT in order to save lives, provide economic opportunity for the more than 30 percent of Alabamians who don’t drive, and to create more walkable and greener communities. One of the most prolific committees in the state legislature as of late has been the Permanent Joint Legislative Committee on Energy Policy, which has passed numerous energy bills. The committee has repopulated following the 2010 election, and we hope more positive bills on energy policy will be introduced this session. Alabamians consume more energy per capita than just about any other state. Yet, we can put money back in consumers’ pockets, increase retail sales, and decrease energy consumption by adopting a state sales tax holiday on Energy Star appliances. Such a concept, similar to the “back-to-school” tax holiday, has found success around the country. The state more than recoups the “lost” tax revenue in additional sales on non-sales-tax-exempt items. Consumers not only save money on energy-efficient washing machines, refrigerators, and the like, but they also save money over time by consuming less energy. And our environment benefits from reduced air and water pollution. Another win-win-win for Alabama. In contrast to the energy committee, the Permanent Joint Legislative Committee on Water Policy and Management has yet to introduce legislation, but we expect that will change in 2012. As Alabama continues its 20-year “war” with Atlanta over water, our state needs to get its water policy house in order. Without a meaningful plan for the sustainable use of our state’s water resources, water will become the limiting factor for growth in Alabama and the health of our rivers will suffer as more demands are put on these valuable resources. Governor Bentley and the water committee’s leadership of Sen. Orr and Rep. Alan Boothe are developing a process to formally adopt a statewide, comprehensive water plan over the coming years. Groups such as the Alabama Rivers Alliance and Southern Environmental Law Center have been advocating for a water plan for years and will be working to ensure the process is open to meaningful stakeholder participation from all interests. Transportation, energy, and water figure prominently in environmental issues this session, and Conservation Alabama will be working proactively on these bills and others. Of course, not all legislation introduced this session will share our vision for wins in each of the public health, economic, and environmental areas. That is where we will have to rely on defense to protect Alabama from bad legislation. Throughout our 13-year history, Conservation Alabama has been able to stop any bad environmental legislation that has been proposed. We look forward to keeping you informed during the session about progress on the green legislative agenda. You can follow environmental legislation by reading our Conservation Hot List each week at conservationalabama.org. Adam Snyder is executive director of Conservation Alabama and can be reached at asnyder@conservationalabama.org.